LifeStation is limited on or missing a few important product options offered by other companies. Still, this company has a quality product and a great reputation. My grandparents were getting up in age, and although they lived a healthy lifestyle and still got around well, I was worried about an accident occurring while they were home alone. I knew I needed to find a way to protect them if this occurred and to relieve some of my own worries, so I started looking around at various options. That’s when I came across the LifeStation medical alert system, which seemed to fit the needs I had at the time. Medical alert systems are a great way to protect yourself if your health is not what it once was, and it’s never too early to start. After all, when it comes to a fall or other medical emergency, it is always better to be preventive instead of reactive. If you wait to react to an accident after it occurs, it could be too late. For that reason, a medical alert system works for anyone who may have health concerns. Even if you are healthy by most standards, you should recognize that bones are more brittle as you age, so accidents are much more dangerous. For that reason, you might want to look at LifeStation or other options on the market. If you have major health concerns or need help getting around, then a medical alert system may not be enough. In those instances, you should seek out other personal care options. Before purchasing LifeStation, you will want to think about where you live, how active you are outside of your home, if you have a spouse who might need an emergency button, and what kind of budget you have? LifeStation is one of the top medical alert system providers, and the company offers a range of options to choose from when deciding if their medical alert system fits your needs. In fact, LifeStation challenges you to compare their products to other top providers and see how they stand up in terms of services offered. LifeStation does just that as this company provides various options that should suit your needs. LifeStation does not use a particular cellular service. Instead, their products run off of the closest cell tower in your area. With LifeStation, the service center does weekly test on your device to ensure that it is still working properly, giving you confidence that the product won’t fail during an emergency. LifeStation provides an option called Activity Assurance that requires you to check in once a day to let others know that you are alright. The in-home system only has a 500 ft radius, so you might be limited on where you can go in your yard. LifeStation does not provide free spouse monitoring, so you have to pay an additional $3.99 per month. LifeStation does not list a fall detection feature for their mobile GPS alert button. Some other companies offer this feature. 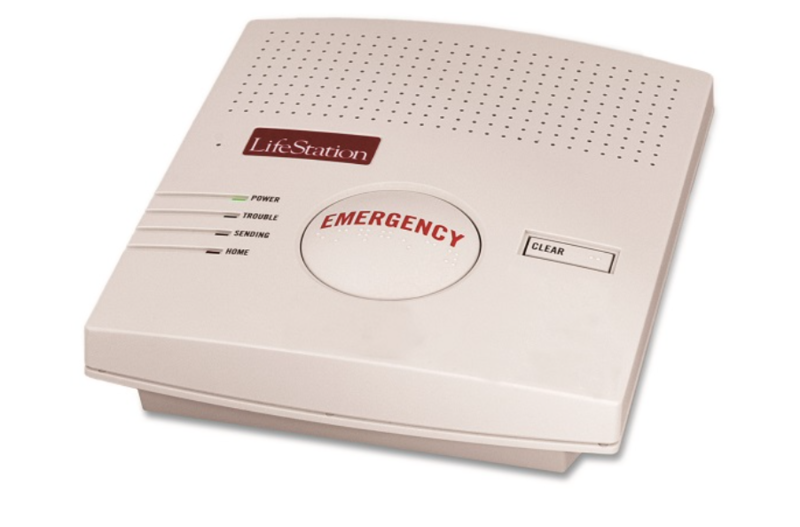 The LifeStation at-home medical alert system comes with a base station that requires a landline jack in order to work and an emergency button. The price for the at-home medical alert system is $25.95 per month. You can add an additional button for $3.99 per month. This is a good feature to have, but other companies offer free spouse monitoring, which was important to me because I was looking for a medical alert system that worked for both of my grandparents. With the base station, all you have to do is hook it into the phone jack and it works, so the setup is extremely simple. If an emergency arises and you have to hit the emergency button, then you will be in contact with a care specialist through a two-way speaker on the base station that can be heard from most places in your house. The base station also has a 32 hr backup battery in case the power goes out in your neighborhood or home. The emergency button comes with either a necklace or a bracelet, whichever is more convenient for you. It is also waterproof, so no need to worry about taking it off for a shower (my grandmother always told me that she was worried about taking showers because it was slippery in the tub). The battery life for the emergency button is expected to last four years, and the button will send a signal to the monitoring station if the battery is running low. You also have a 500 ft radius from the base station where the emergency button will work. The at-home cellular system is similar to the regular at-home system in that it comes with a base station and an emergency button. The price for the at-home cellular system is $32.95 per month. With this plan, you can also add an additional button for $3.99 per month. This system does not need a landline jack to work. Instead, with the LifeStation cellular system, you are connected to the monitoring center through a cellular network. LifeStation is not limited to any particular cell service either. Rather than one service provider, LifeStation cellular plans connect to the closest cell tower in your area. Just like with the basic at-home alert system, the cellular alert system comes with a waterproof alert button, which can be worn as either a necklace or a bracelet. 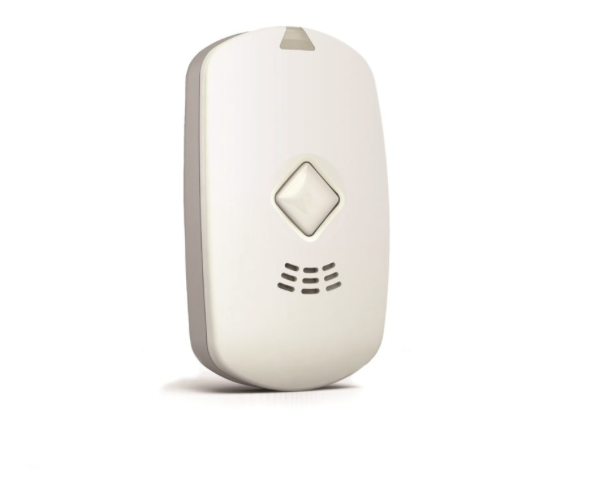 The senior fall detection feature can be purchased with the LifeStation medical alert system and will help protect you if you fall and are unable to press the emergency button. This feature can save your life if you forget about the emergency button or are incapacitated. You have the option of getting senior fall detection with either the landline alert system or the cellular alert system. If you want the senior fall detection, it can be added onto your LifeStation alert plan for an additional $7.00 per month. If you are always on the go, then the enhanced mobile alert button with GPS might be an option that you want to consider. This emergency button follows your location with GPS tracking to ensure your safety whenever an accident occurs. This means your well-being is no longer limited to your household. If you like to golf, go for walks, or spend time shopping in town, you will be protected with an emergency button that has a two-way speaker all in one. This would have been a great feature for my grandparents because they were always out of the house. To add the enhanced mobile emergency button with GPS, you will pay an additional $9.95 per month. One of the great features with LifeStation is the weekly test on your system. These tests are completely silent, but add a level of security as you can relieve some worry about the system malfunctioning. That way you can focus on your daily routines and have confidence knowing that the emergency button will work if you need it. Considering my grandparents were not tech savy, it would have been nice to know someone on the other end was keeping up with the performance of the product. 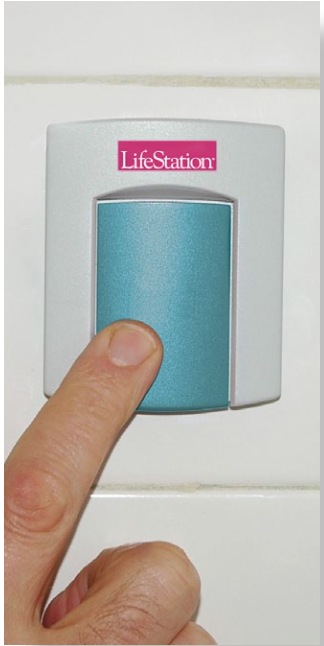 With LifeStation, you can purchase extra help buttons that can be placed on a wall in your house, such as in the bathroom or hallway. This way if you forget to bring your emergency button with you, then you will have the extra protection. This is beneficial if you are going to the bathroom at night and leave your emergency button on your night stand. My grandfather would have forgotten his nose if it was not attached to his face, so this additional benefit was important to me. With activity assurance, you are required to check in once a day by pressing your emergency button. This lets others know that you are alright and moving around for the day. To add Activity Assurance, you will have to pay an additional $5.99 per month. LifeStation offers an option to contact relatives or friends via email alerts if an emergency occurs, so if you have a neighbor nearby, they may be the first to respond after a fall and provide immediate care until an ambulance arrives. This was a great benefit since I lived just around the block from my grandparents’ house. I knew if I was notified then I could be over there in an instant, and they would not have to worry about me checking in on them constantly. With LifeStation, there are no long-term contracts, and they will never raise the price on you. The only requirement to cancel is a 30 day notice and the return of their products through the mail. One downside is that you are committed to what you pay because LifeStation does not offer a trial period for their product. 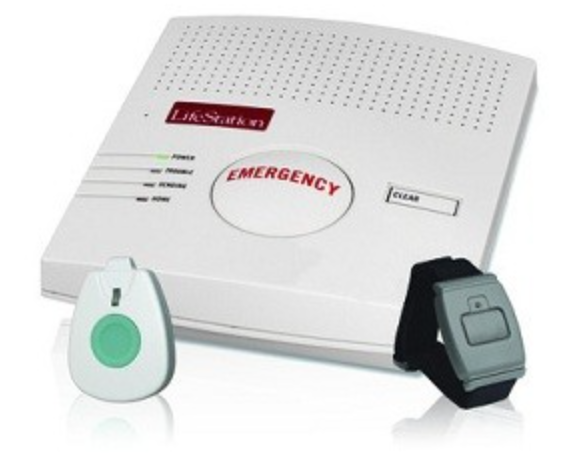 Therefore, you probably want to make sure LifeStation suits your needs before purchasing their medical alert system. LifeStation will also replace any faulty equipment, so if your base unit has some technical issues, you can replace it with a new one that works. Bay Alarm has been producing products in the medical field for almost 70 years. Bay Alarm’s medical alert system has many great benefits to consider. Bay Alarm offers a 14 day trial period, where you can get your money back if you are not pleased with the product. LifeStation does not offer a trial period. With Bay Alarm, you can answer phone calls using your emergency button and the base station. After looking over the LifeStation website, they do not seem to offer this feature. The Bay Alarm emergency button has a 1000 ft range, but the LifeStation emergency button only has a 500 ft range. Alert1 offers fall detection for their mobile emergency button, but LifeStation does not seem to offer this feature. With Alert1, you have a 30 day money back guarantee, while LifeStation does not offer a money back guarantee if you are not satisfied. The Alert1 emergency button has a 600 ft range from the base station, while the LifeStation emergency button only has a 500 ft range. LifeFone has an option to purchase a range extension, so the emergency button will reach up to 1,500 ft from the base station. The LifeStation emergency button only reaches up to 500 ft.
LifeFone offers free in-home monitoring for a second user, where you have to pay an additional $3.99 per month with LifeStation. You have a 30-day money back guarantee with LifeFone if you are not happy with the product, but LifeStation does not have a money back guarantee option.